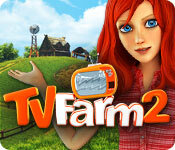 TV Farm 2 is rated 3.9 out of 5 by 20. Rated 5 out of 5 by beancounter173 from Can't wait for the next one! I found this game to be highly addictive and very fun. The constant change up of products and farmed goods was very nice. Can't wait to play the next one! Rated 5 out of 5 by katz1936 from finally So happy to see a fun TM game. Finally something different than the boring usual. Rated 5 out of 5 by alsteele28 from The farmer's in his (her) den, the farmers in his (her) den This is my first foray into the casual farming sim games, I have played others off-line, such as Harvest moon and PC games that had elements of farming in them such as industrial giant, but have never played 'casual', for some reason I thought they would be very basic and almost char like. Yes the graphics are like most TM games (no matter what the 'sub-genre'), 'quirky', almost cartoonesque, but not quite, but really fitting in with the whole 'casual' style game-play. 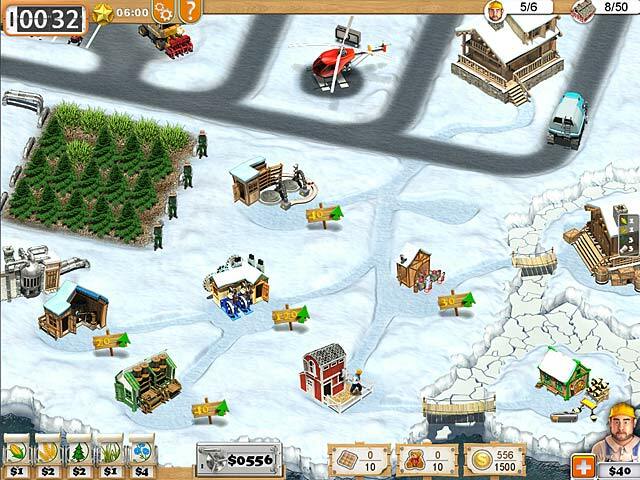 The game reminded me of similar cookery sim games such as Top Chef or the 'Cake Mania Lights, Camera Action games, in that you were in a competition to win a prize, just that the setting this time is 'down on the farm'. The game play starts with a 'front story' which is like the aforementioned just farm based instead of food based. You are then taken to the game proper and the first few levels are as always tutorials which ease you in to the mechanics of the game. I like the fact that in this game from level 2 onwards you have to think strategically, in that you have to sell things in order to fund to purchase seeds. This is good as it makes you think what will yield the most profit and what to upgrade in order to fulfil the level criteria. This therefore got the grey matter thinking early on, but as the goals were 'fairly' easy then it eased you gently into the game. Another good thing was that if the goal criteria was to make a certain amount of money then you had to be careful what upgrades and purchases you made in order to make the money and fall within the 'golden time' (expert score), even as early on as level 3 I had to restart the level as I didn't hit the 'golden time'. You can't therefore go in 'all guns ablazing' you have to assess (fairly quickly as the clock is ticking), as to what seeds to purchase, what buildings to build etc to fulfil all criteria. One good thing (of the many good things), is that the game registers that you have produced something even if you then sell it. For example you have to make popcorn, but need to sell this in order to fulfil the overall criteria, in some TM games I have played if you have used some of the item in order to fulfil that games particular goal it comes 'off' the total so to speak thus you have to ultimately produce more, this game recognises that you have produced the item and doesn't penalise you if you then sell it, I like this. Graphics, sound etc are usual standard for this game and don't annoy, just a few short sound-tracks that repeat, but nothing 'offensive' as it were. No VO but then it is unusual in this type of game to get them, graphics as mentioned were usual of the genre. The only slight negative (and this is only because I am basing this review on the hour is that there was a 'technology' room, that you went to after every level, that certaninly for the time I played didn't mean anything. 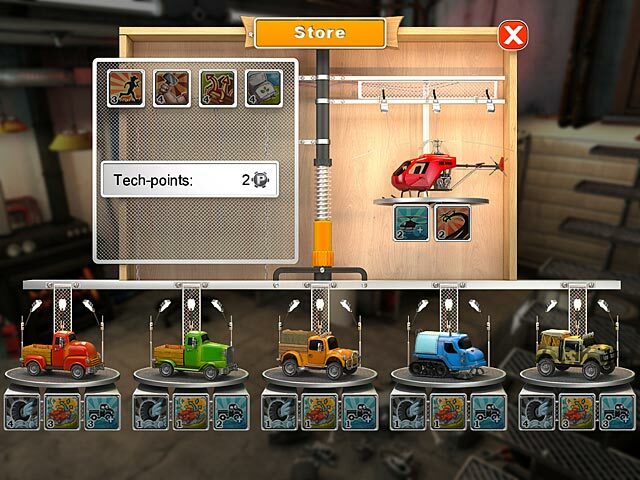 You earned 'technology point's based on how quickly you completed the level and these could be used to purchase upgrades. I suppose further in the game this room would have had more use (guess I am going to spend moolah (which I will do) to purchase the game. Overall this is good and game and a fine example of the genre. I would highly recommend this game. Rated 4 out of 5 by khendrick1 from Great Time Management Game I've played this a couple of times now so I thought I would give it a review. It's a great game. I love time management games so I play them a lot. This one was challenging but not too challenging. I only had to get help in the forum for 3 or 4 of the levels. It could have been longer and more challenging but on the whole it was worth the money. I enjoyed it. Rated 4 out of 5 by ElleHof from My fave game, but too short I really like this game. You can't just click on things at random, you have to think. It also has a little ? icon that pops up the function and required materials of every building you have, in case you forget. I desperately wish this was longer and that it was more challenging to reach "gold" status. I have repeatedly played this game. I finish it in a few hours. I wish they'd make another or make it longer. I don't care about the storyline. I can click "skip" quickly and that makes me happy. I was also able to skip the tutorial. I love that. If you've found a comparable game, please let me know. I find very, very few that I enjoy this much. Rated 4 out of 5 by lw69 from Game ok Not very long to complete the game. But a fun moment. 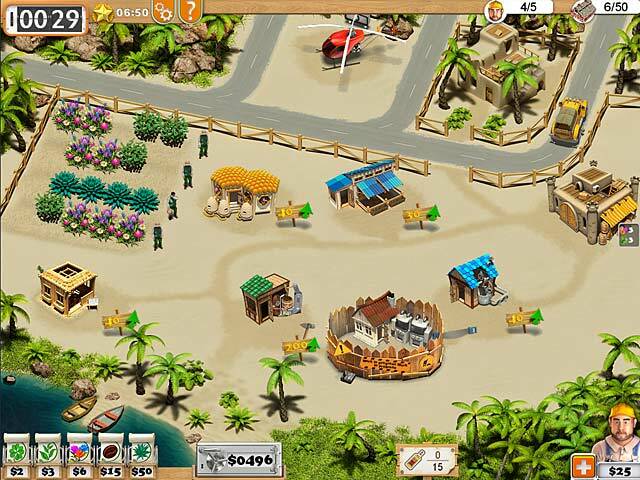 Rated 4 out of 5 by Dizzy24 from Demo Review The idea behind this time management is that you are on a reality show and you have to prove that you can farm in any climate on any soil. Cute. I like it, and as the basic farming/time management idea goes, it flows very nicely. Graphics are colorful and well done for a cartoon game and are quite nice to look at. Much more entertaining than some I have played. I do like the click and drag way of harvesting and planting on this game as it does make it much more streamlined and I don't get that cramp in my finger from crazed clicking! :) By comparison to other time management games however, it isn't very challenging.... I was able to play through with little difficulty in the hour demo and got through to the second stage and I think 3 or 4 levels into that stage. I was also taking my time reading through the upgrades and the cut scenes as well. That is the main reason I won't be buying this game, I probably would have completed the game in a day or two. I tend to play a little longer than most people though. I do like the game however, it flows well as I said, and the background music is not annoying. It was one of the few time management games that I actually left the background music at the default level of volume.